Along with the comics I mentioned yesterday, I also found a stack of MAD magazines from 1973. Not very funny. 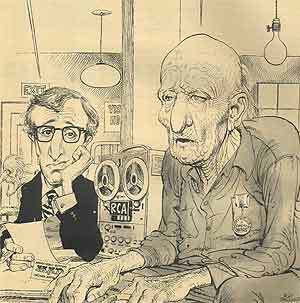 Most of the art is slapdash, with a few exceptions; Jack Davis was a classic sixties-style illustrator, and I can still recognize his work a mile away. 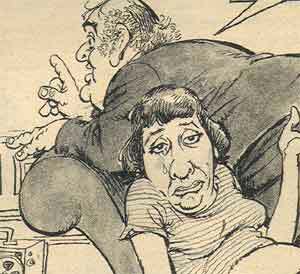 Don Martin wasnt all that funny, but it looked funny, and in his case that was enough. Dave Berg did those Lighter Side Of comics that made up for their lame japery with the generous portions of the same. 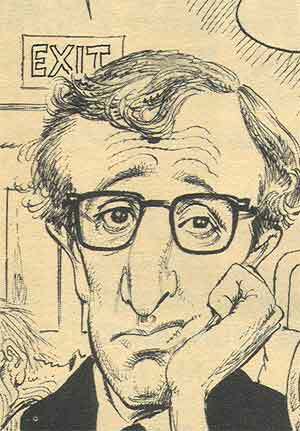 The best reason to hang on to these comics: Mort Drucker. 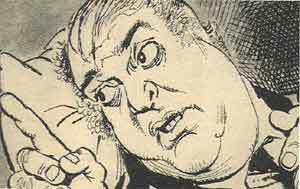 He may have been the best caricaturist of his time, and that includes Herschfeld. 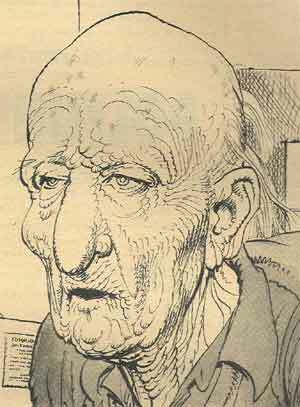 (Im not sure Herschfeld could even be called a caricaturist, since he turned everyone into the same elegantly stylized creature.) 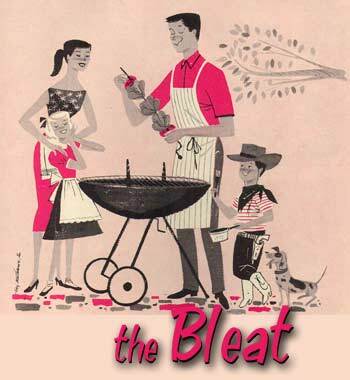 Its odd  I googled the name and came up with this site, which made me wonder whether he wasnt the patron saint of those portrait artists you find at the fair, the ones who draw huge heads on tiny bodies and whose work all looks the same. Well. Heres Mort: this is a Mad satire of Little Big Man, and it has a certain someone interviewing Dustin Hoffman as the worlds oldest man. No, let me rephrase. Its as interesting. Or more interesting. Or less. I dont know. That was simply a lazy transitional device inserted to give this ramble some sort of narrative drive, as though Im leading up to something; Im not. Except bed. Monday is the New HELL, since I have to produce two columns by noon tomorrow. Which means I can, if I want, go to bed with both columns unfinished, well aware I will wake tomorrow with the clammy hand of terror pressed over my face. As long as I have the last line written, Im fine. But if both columns are mere trunks without legs or heads, Im dead. And right now both columns are demi-torsos. Pause. Went outside to consult with a cigar. My wife joined me; we talked about this and that. To our surprise Gnat appeared: she woke up, found the house empty, and went looking for mom and dad. So we sat on the back steps and looked up at the stars. I pointed out the Big Dipper. And they have aliens there? she said. Yes they do, I said, thinking: Klingons! But she neednt know that now. Why did you wake up? my wife asked. I wanted to see the Big Dipper, Gnat said. Clever child. Anyway. The Antennae on the Roof piece sums up Mad c. 1973 quite nicely, and gives you a glimpse into New York liberalism at the nadir of the 20th century. The guys who wrote Mad were terribly conflicted: they were old-style liberals, Kennedy-era types who just hated the hippies. They sniped at the reactionary hard-hat stereotype now and then, made fun of a strange subspecies called Conservatives which seemed to be made up entirely of effete William F. Buckley types. They were relentlessly anti-drug. They hated commercialism, which was a great sin back then. Did you know that Christmas had become commercialized? Tis true, alas. But they opposed it! It seems a bit of a stretch. Even-handed, yes. 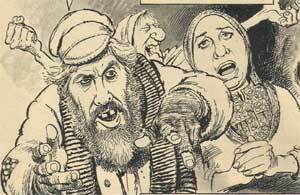 But please: Tevyes ghost appears to complain that his relatives escaped the pogroms to end up in a nice suburb? God is an imbecile for taking his people out of Tsarist Russia to live in Scarsdale? Yes yes, reading too much into it, etc. But on the other hand Im not. More on this tomorrow; I really have to get back to the paying jobs now. 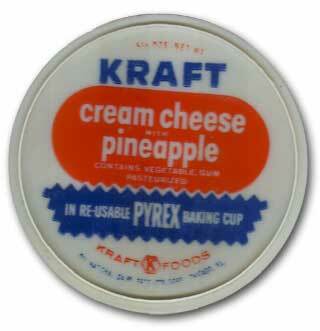 In conclusion: for some reason my mother kept the lids from some Kraft cream cheese containers. Probably because the containers were Pyrex, and hence could be reused. The containers are gone. I rescued the lids years ago, and found them in an envelope of random stuff. Why do I keep it? Because she did.